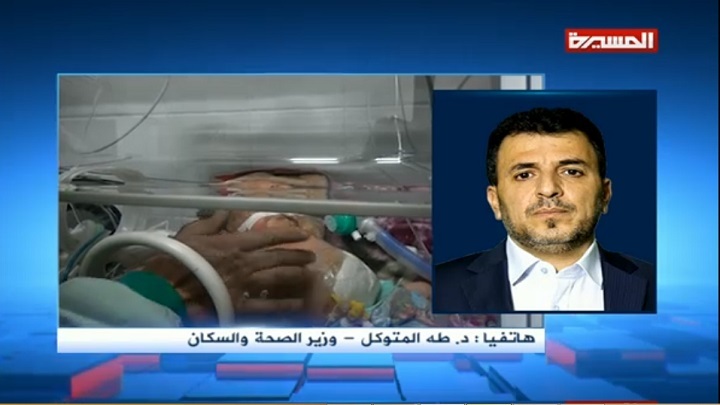 Minister of Health, Dr. Taha Al-Mutawakil, stressed that the Saudi-led coalition intransigence and refusal to open Sana’a International Airport, in front of the humanitarian flights, further worsen the suffering of the patients. The Ministry of Health appealed to humanitarian and international organizations to send an urgent medical team to separate craniopagus children Abdulrahman and Abdulrahim Al-Haimi. “We did not find any response to our appeal from UN agencies and the international community to get the two children out for treatment” the minister to Almasirah channel in a telephone call. The Minister of Health noted that the countries of the US-backed coalition leave patients who must go abroad for treatment in hopelessness.